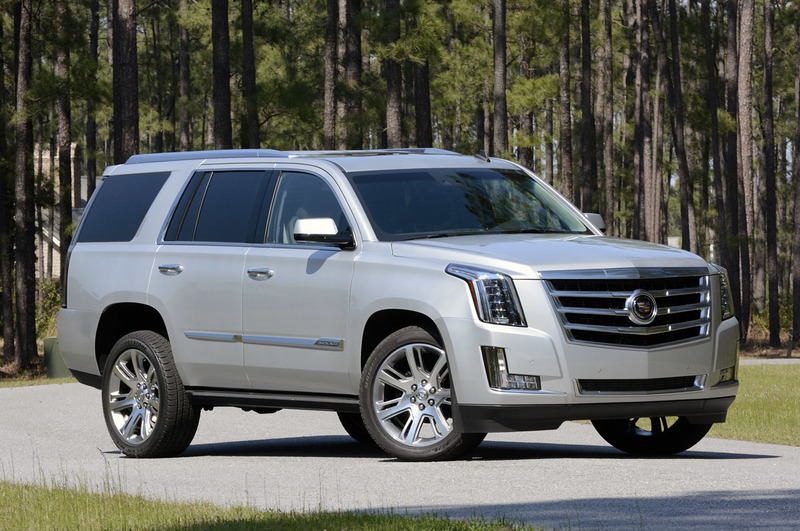 The 2015 Cadillac Escalade is a creation of the world renown car maker General Motors which produces both commercial and luxury cars. 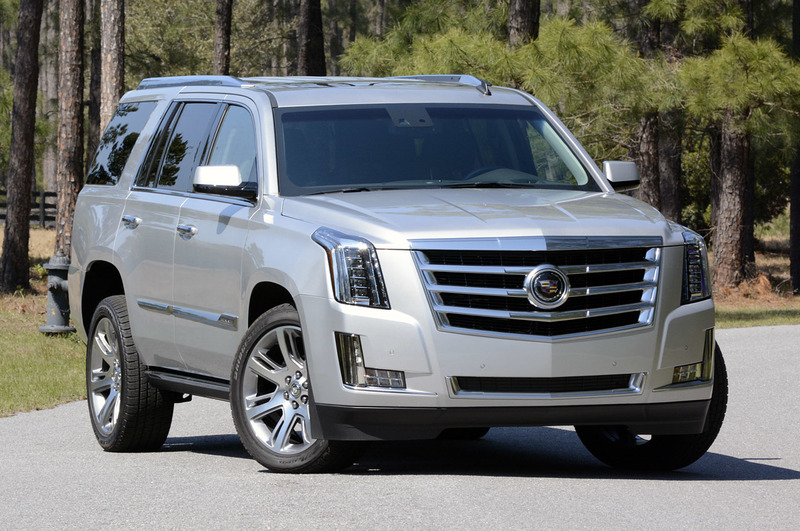 This particular model of the Cadillac mid size SUV was released in early 2014 and is already a darling to many who see it as a best luxury SUV on the US market. The exterior of the car and its appearance is quite captivating since it has a large body that makes it a car which can serve many purposes. Well, this car is no exemption to perfection since it brings luxury, efficiency, accuracy safety and economy all rolled in one. The exterior of this luxury SUV comes with a range of colors ranging from, black raven, crystal red tin coat, dark granite metallic, majestic plum metallic, radiant silver metallic, silver coast metallic and the diamond white tricoat. In addition the car is fitted with chrome alloy wheels, steel spare wheels and these wheels are available in 20 by 9 inches. 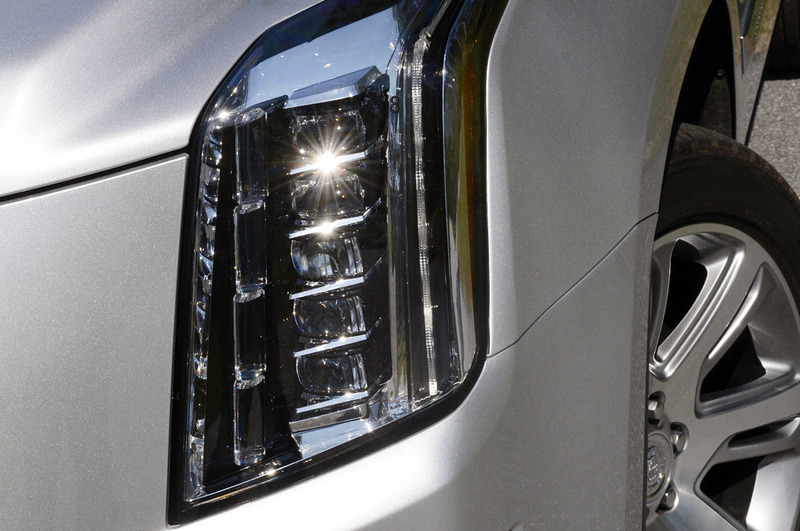 The front fascia features Galvano chrome grille with LED headlights which gives to Escalade razor-like look. 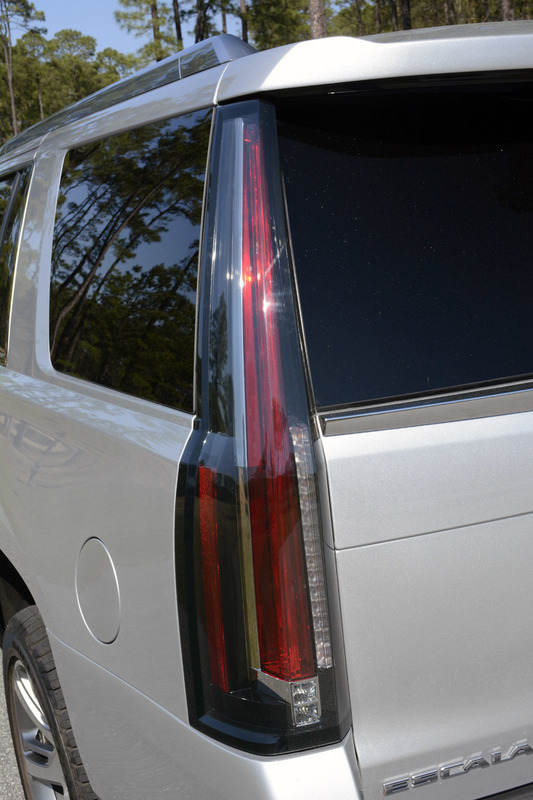 This SUV is equipped with powered hands-free liftgate with rear spoiler. 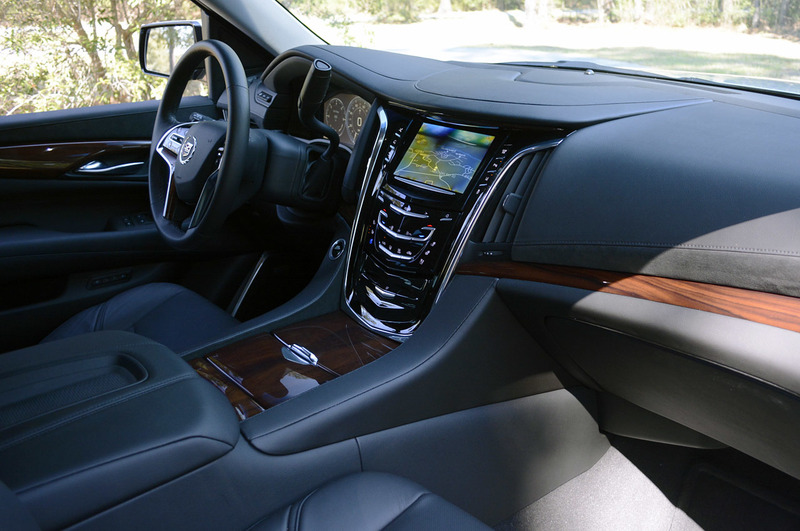 In the interior the car is fitted with leather interior which makes it durable and scratch-free. The seats fitted are shiftable and makes sure that the occupants are in a space where they feel most comfortable. 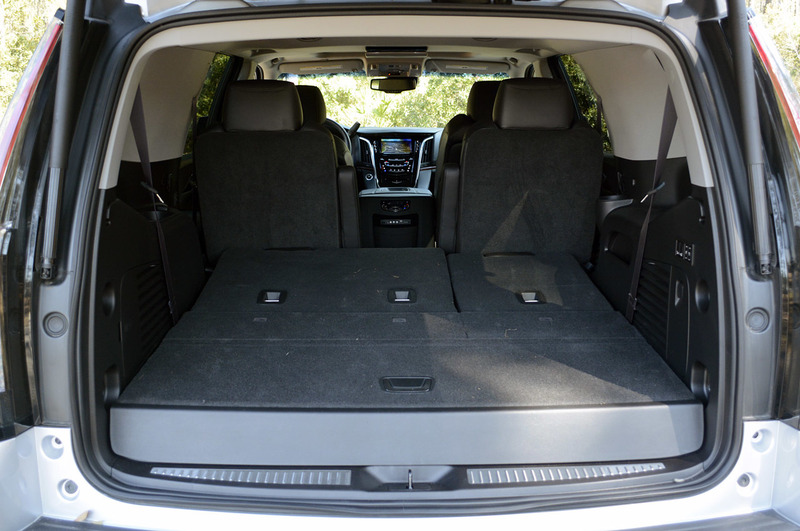 It also has front and rear door pockets where the occupants can place their valuables in. 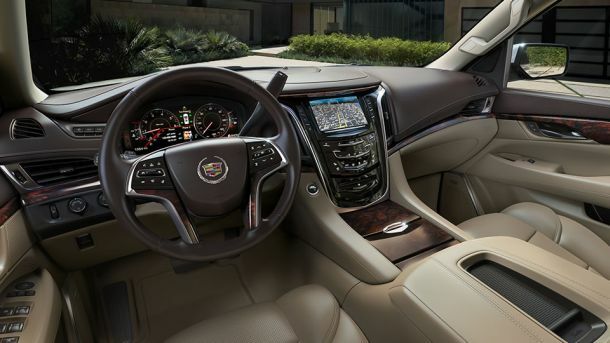 The new Escalade is also convenient since it is fitted with power heated mirrors, rear view camera, electric power steering, cruise control and a navigator which directs the driver to an unknown destination. 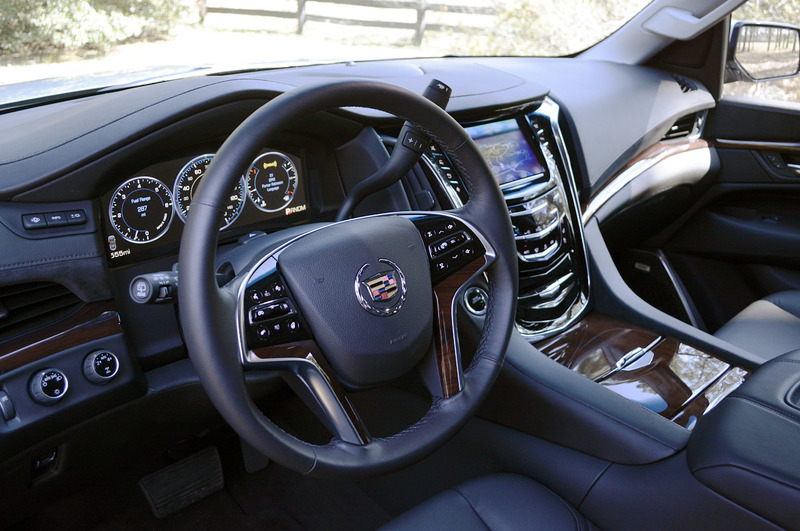 There are also rear floor mats, dual illuminating vanity mirrors, a heated steering wheel, and a sun sensor. When it comes to entertainment, the vehicle is fitted with 16 speaker base premium brand pictures, a subwoofer an am/fm stereo a USB connection and a memory card slot so the owner is kept fully entertained throughout their travel experience. 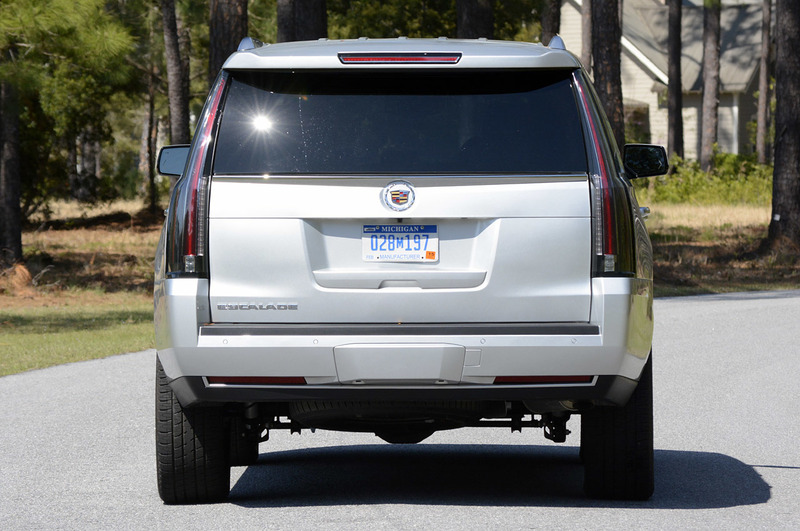 In terms of safety the 2015 Escalade is one that does not compromise, it is fitted with turn signal mirrors, tracking devices are fitted, airbag deployment in case of an accident, comfortable seat belts and child seat anchors for the little one. 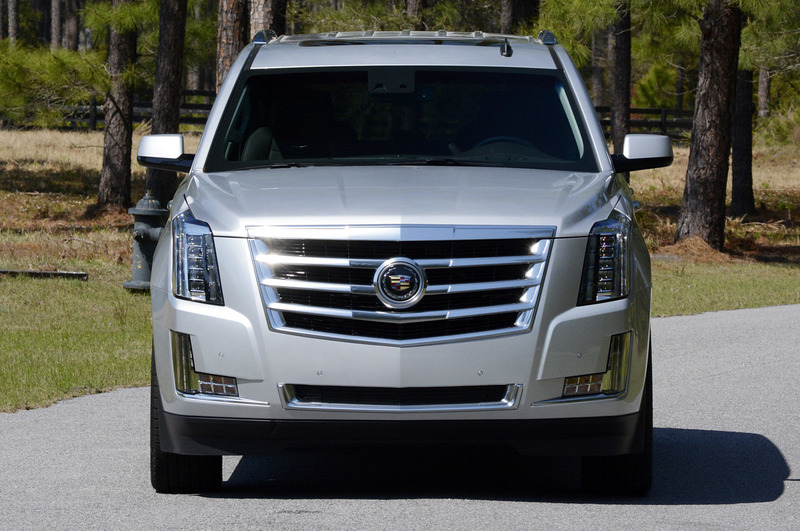 All models of the 2015 Cadillac Escalade are powered by the same 6.2-liter V-8 engine. It produces 420 horsepower and 460 lb-ft of torque. It is paired with 6-speed automatic transmission and it delivers power on the rear wheels. All-wheel-drive is optional for all models. 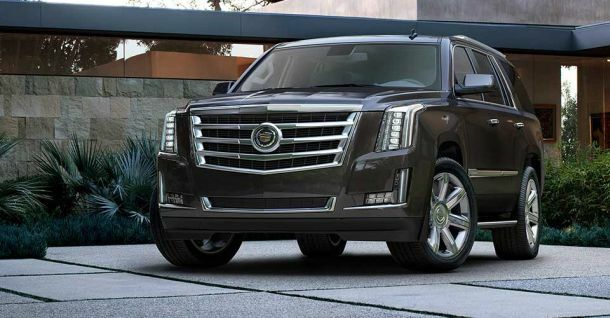 With this drivetrain new Escalade accelerated from 0-60 mph in just 6.4 seconds. 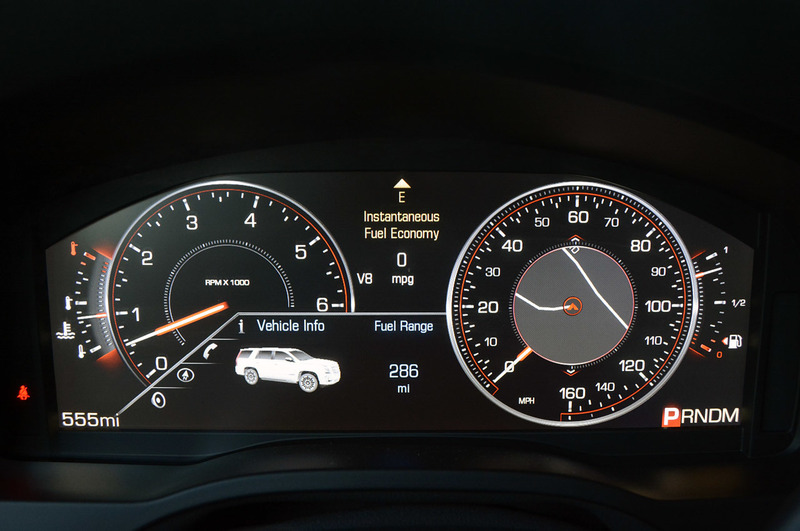 When we speak about fuel efficiency we can notice that it is respectable compared with petrol-powered rivals. 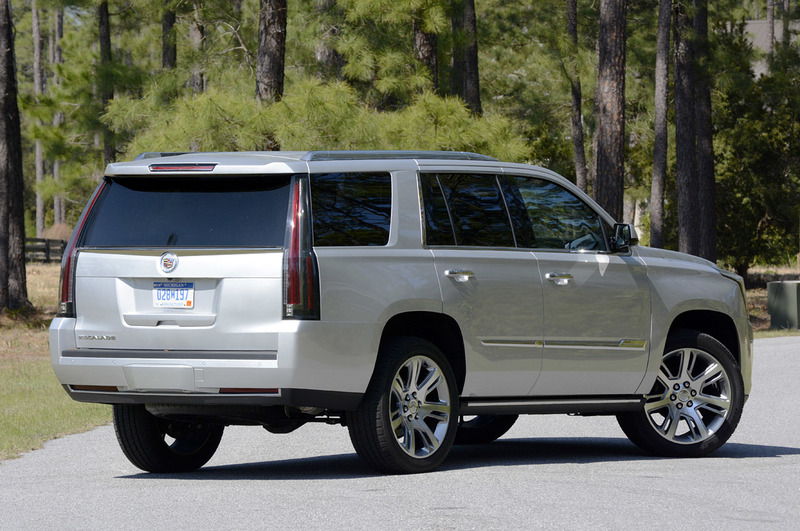 The rear-wheel-drive Escalade has EPA estimated fuel consumption rated at 17 mpg combined (15/21 city/highway). 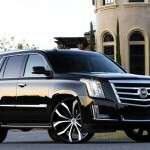 The four-wheel-drive Escalade has 16 mpg combined (14/21 city/highway) consumption. 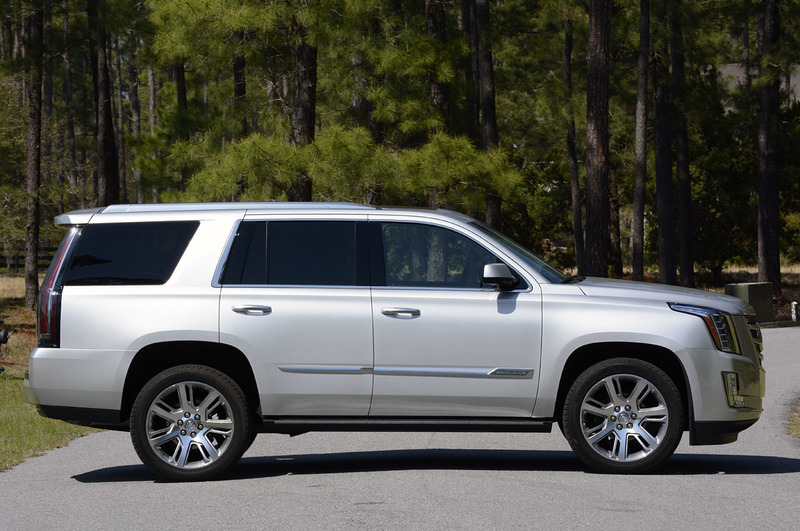 When properly equipped the new Cadillac Escalade towing capacity goes up to 8,300 pounds. 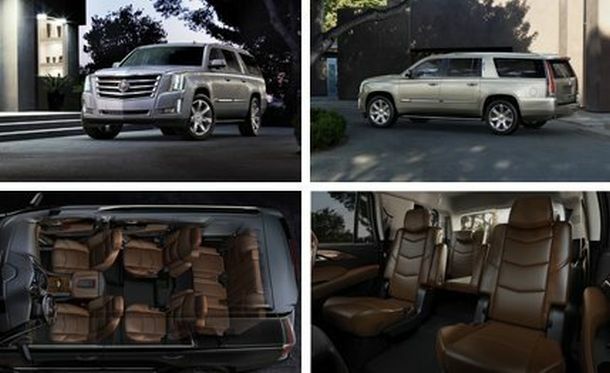 With such precision, comfort durability, the 2015 Cadillac Escalade SUV is a highly recommendable and suitable. The price range of this 7 passenger SUV is between $71695 and $82795.